Today Spark launched a new Delegation feature for teams, which is available on both the Mac and iOS. Delegation enables team members to assign emails to one another, with optional due dates attached, and follow the progress of those emails over time. It's a feature that addresses well the workflows a manager or executive may have with their assistant or other team members. 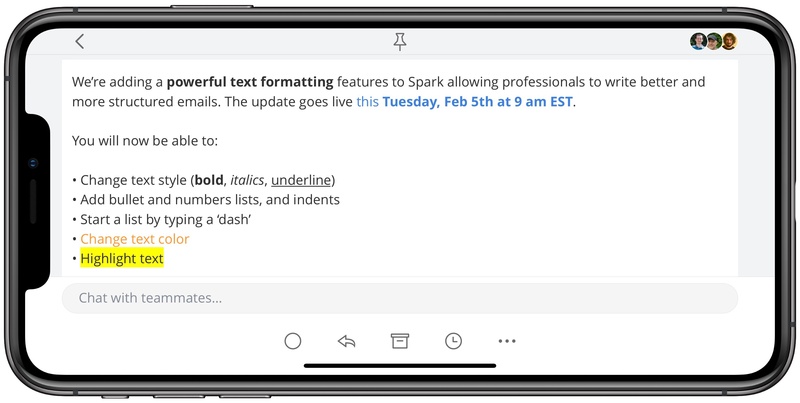 Today in an update to its iOS and Mac apps, the email client Spark has introduced new rich text formatting options to enable greater flexibility in styling your messages. Spark already included the expected bold, italics, and underline options, and its macOS version previously allowed creating bulleted or numbered lists, but those list options have now come to iOS as well. Additionally, both Mac and iOS users can now change the color of text in their emails, as well as add highlighting to text. Rich text support is a particularly important feature for an email app, so I'm glad to see it come to Spark. While I likely won't start sending messages with different colored fonts, it's nice having the variety of options Spark provides here. Lists in particular were something I've missed having in the past, and I like the idea of employing highlights to call out anything of special importance in an email. I've historically used bold for that purpose, but highlighting definitely does an even better job of standing out. Spark's latest update is available now as a free download for iOS, and the Mac update is coming soon. Google launched Inbox in 2014 as a place to experiment with new email features, some of which made their way into the company’s Gmail app eventually. 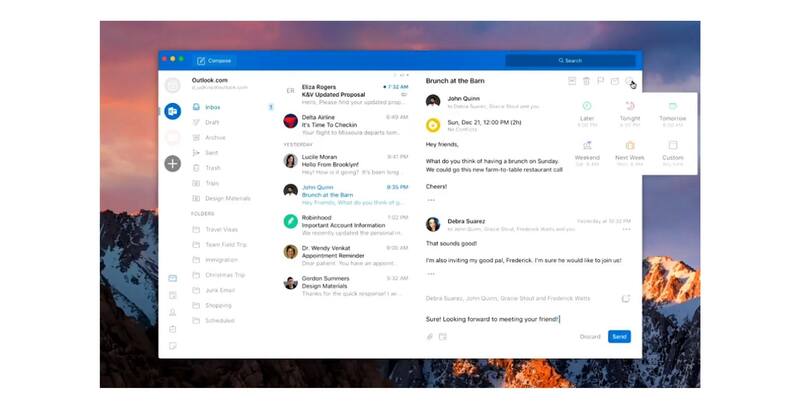 Although it served as a sandbox for trying new features like email snoozing, Smart Replies, and Nudges, Inbox was not updated nearly as frequently as Gmail. So, it wasn’t surprising to hear from Google yesterday that it plans to end support for Inbox at the end of March 2019. If you are an Inbox user and want to move your email accounts to Gmail, Google has created a transition guide. We explored various business models but couldn’t successfully figure out profitability & growth over the long term. It was hard; the market for premium consumer mail apps is not big enough, and it faces stiff competition from high quality free apps from Google, Microsoft, and Apple. We put up a hard and honest fight, but it was not enough to overcome the bundling & platform default advantages enjoyed by the large tech companies. 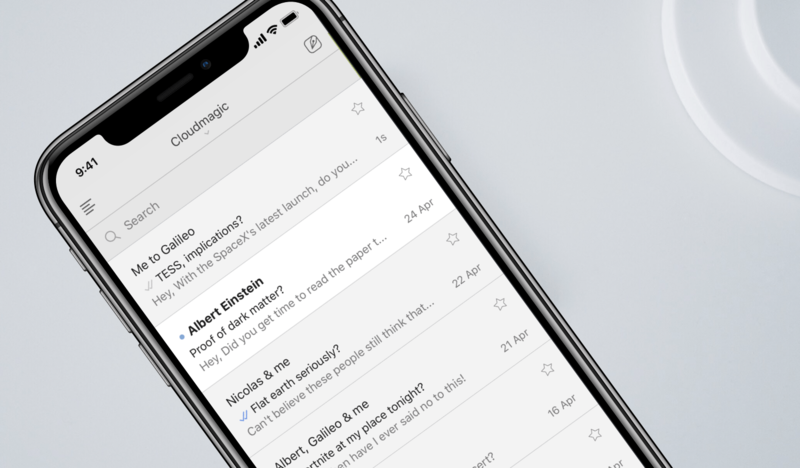 CloudMagic was relaunched as a subscription email service and renamed Newton in 2016. According to Nadhani’s post, the company, which offered iOS, Mac, Android, and Windows versions of its email client, served over 4 million customers, 40,000 of whom signed up as paying subscribers. In anticipation of the shutdown, the company has disabled signups to its service and is working with the App Store and Google Play Store to offer pro-rata refunds to annual subscribers whose subscriptions are set to expire after September 25th. Nadhani says that CloudMagic will continue to work on new projects. Email is a tough category in which to compete. 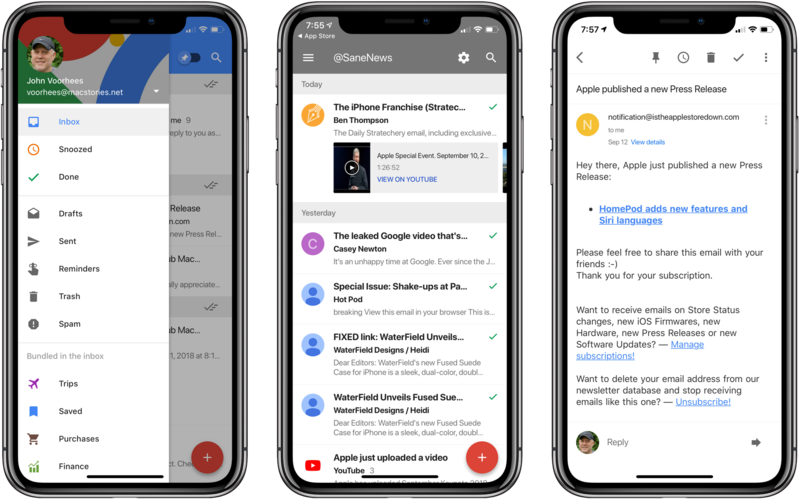 Default applications like Apple’s Mail app don’t give most users a reason to look elsewhere, and users that do want to try a different email client have many excellent free options from big companies like Google and Microsoft. For the remaining users willing to consider a paid email service or app, the competition is fierce with excellent choices like Airmail and Spark. The end of Newton is a reminder that no business model is a safe bet and even those apps and services you may be willing to pay for can’t last if others don’t feel the same as you. In updates to Readdle’s Spark app for iOS and macOS released today, the email client gained two key power user features: send later and follow-up reminders. Send later works exactly as you would expect. When composing an email, hitting the send later button in the compose bar will present several default options for when you’d like the message sent: Later Today, This Evening, and Tomorrow. Perhaps the most common use case will be responding to emails late at night and wanting them to send as soon as the next work day kicks off, which the Tomorrow option is perfect for. Thankfully, you can also set a custom date and time. Once you schedule the delivery time, Spark will take care of the rest. With follow-up reminders, there are five default options joining the custom date picker: Later Today, This Evening, Tomorrow, Weekend, and Next Week. This feature serves to stifle a key pain point I’ve regularly encountered in email management: reminding me to follow up on an email when I don’t receive a response. In the past I’ve tackled this problem by pairing my email client with a task manager, such that after sending an important, time-sensitive message, I would assign myself a task to follow up with a second email on a certain date in the future. The problem with this approach is that it requires two apps, and that my task manager has no way of communicating with my email inbox – it doesn’t know if I received a response to the message or not, meaning I may end up with an unnecessary task on my list. Integrating this function within an email client is exactly the right move, and Spark does it well. When your set follow-up point arrives, if you haven’t received a response yet, the sent message reappears at the top of your inbox with an icon denoting it’s a reminder. It’s easy from there to open the original email and send a quick follow-up. The team at Readdle continues adding functionality into Spark that sets it apart as a true productivity-focused email client. 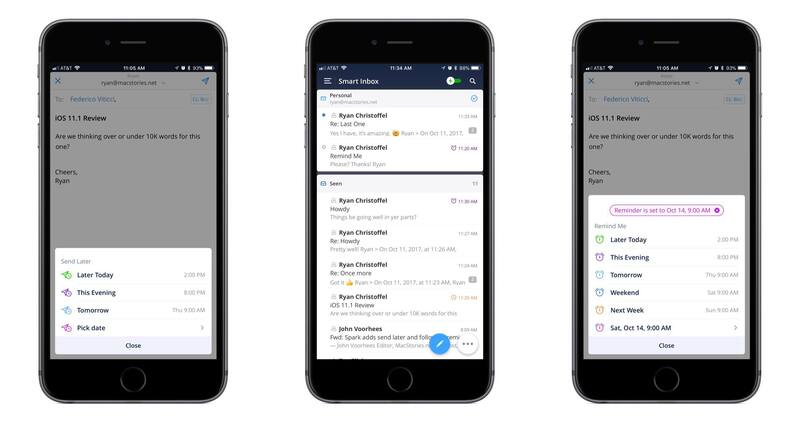 With third-party integrations, snoozing, deep customization options, and now the ability to send later and receive follow-up cues, Spark is growing into an email powerhouse that every power user should give a serious look. Spark has been on a roll. Just a few weeks ago, Readdle significantly improved search in its popular macOS email client. 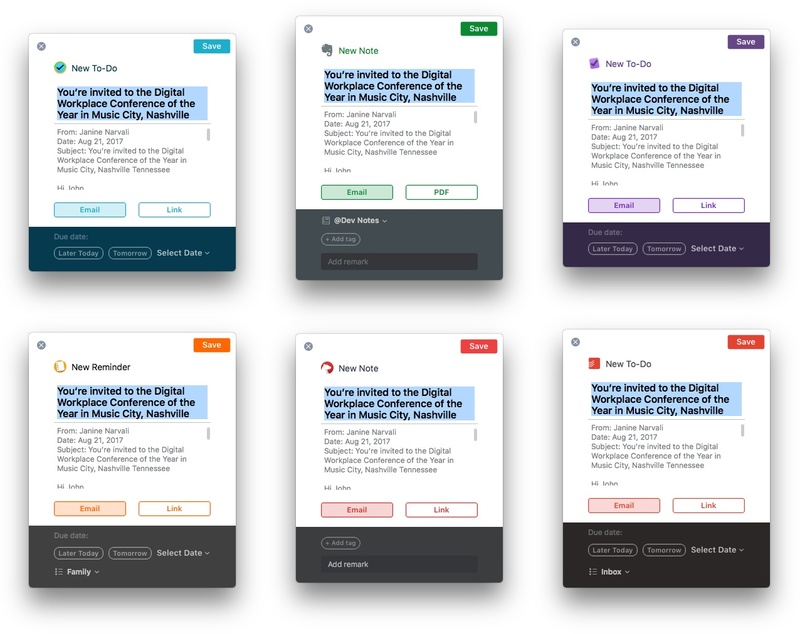 Today, Spark 1.4 for macOS takes another step further into professional app territory with the addition of several useful integrations with third-party apps, while Spark 1.9 for iOS adds deep PDF Expert support and other functionality.